Former model home with huge family room, open kitchen with big breakfast bar, tons of cabinetry, gas fireplace and loft! Big two car garage, partial fence around level, landscaped and irrigated yard, brand new carpet and just about totally repainted! Big master bedroom and nice sized secondary beds. 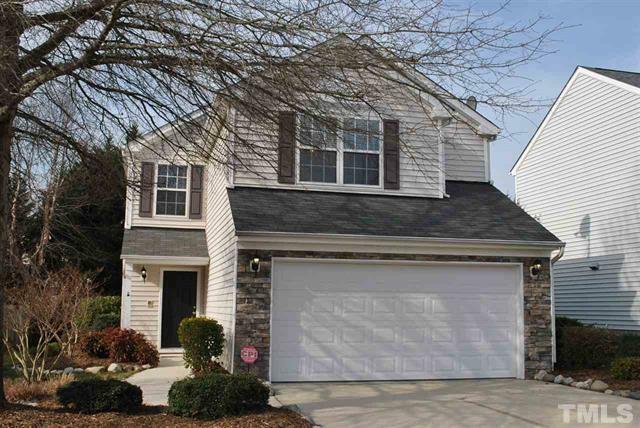 Walk to community pool plus sidewalks throughout in the Valley Stream neighborhood of Raleigh. Close to Triangle Town Center, I-540, I-440 and plenty of shopping and restaurants. This home has been cared for and well maintained and is truly in move in condition! More pictures and information can be found on the MLS sheet for 4709 Mocha Lane Raleigh, NC 27616-7760. A video tour is also available. Directions to 4709 Mocha Lane Raleigh, NC 27616-7760 can be found on Google Maps. Please contact us for more information or for a personal tour of this gorgeous home!